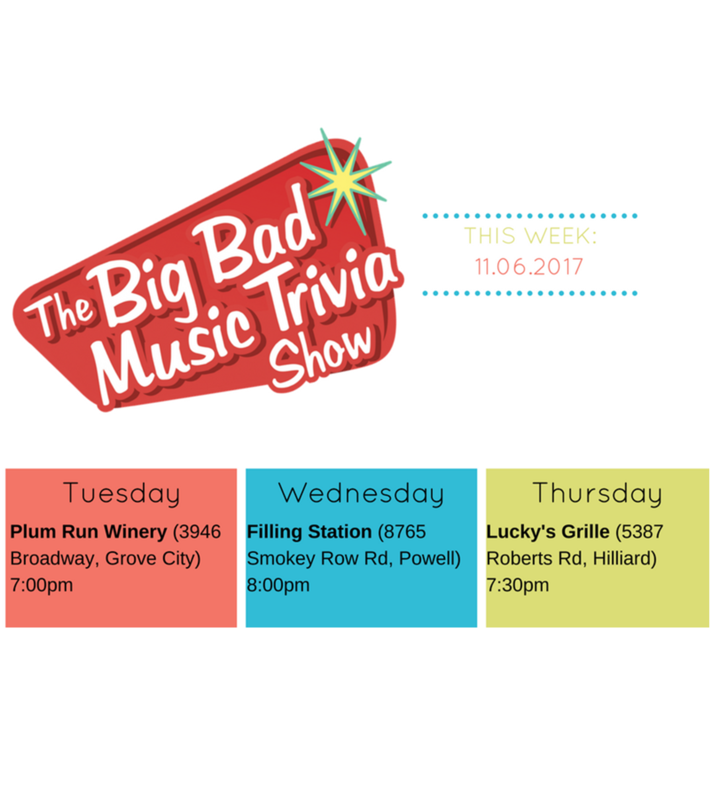 Join Columbus radio legend Mark Dantzer for a rocking night of Big Bad Music Trivia! Do you consider yourself a music master? A music nerd? All of the above? Then we want YOU at the next Big Bad Music Trivia night! Every week, teams of 2-10 gather in pubs around Columbus to compete for prizes and bragging rights as music trivia masters. 6 categories, a halftime and final montage equals a 2 hour trivia night like you’ve never seen before! Check back each week and you’ll have a leg up on the competition! Mark posts one answer below ↓↓↓ just to help you out! We hope to see you soon! Your hint for the week of April 22nd is “Thank U Next” by Ariana Grande. I am not including the Round or Song #. I hope we are still friends. See you at Music Trivia!